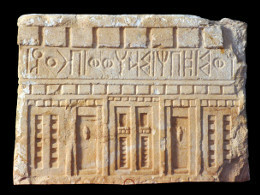 They are mostly non-Sabaic inscriptions, namely the Qatabanic, Ḥaḍramitic and Minaic inscriptions. The decision to begin with these corpora was taken with the aim of giving an idea of the complexity of the ASA languages which scholars of Semitic philology all too often identify with Sabaic. Qatabanic, Ḥaḍramitic, Minaic are not only a label tied to the imagination of modern scholars: they correspond to an historical reality. 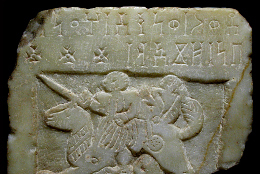 Whoever wrote an inscription appearing in these corpora considered himself Qatabanian, Ḥaḍrami or Minaean, owing to the fact that each identity was linked to a political entity, a religion, and a language. The identity of the writer or at least his "supposed" identity, is the only objective criterion for structuring the South Arabian epigraphic corpus. However, this statement is not completely true for Sabaic, since this language, due to its great prestige, has been adopted sometimes by populations that did not consider themselves as Sabaeans. Furthermore, within these corpora, certain groups of inscriptions have been identified that are characteristic of the specific geographic region they come from, or that are marginal to the documentation from the centre of the kingdom. These include marginal Qatabanic, namely the Qatabanic inscriptions from the high plateau, or marginal Minaic, the inscriptions in Minaic language originating beyond the borders of the Minaean kingdom. As for the Sabaic inscriptions, given the great many texts and the very long time span of this corpus, the material has been divided and catalogued in accordance with the chronology traditionally adopted by specialists of ASA languages. The insertion in the archive of the Sabaic texts is a work in progress. A corpus of minuscule inscriptions has been created to highlight the specificity of the documentation in this writing typology with respect to the monumental texts. 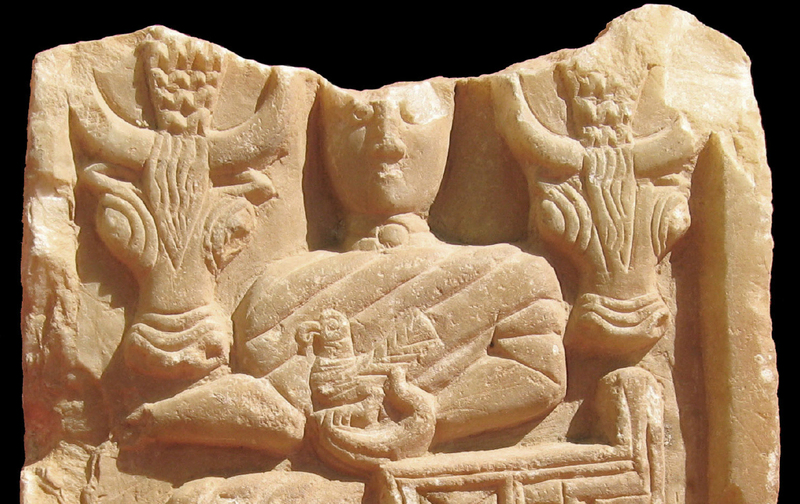 The CSAI contains also collections of epigraphic and an-epigraphic objects according to their deposit: those housed in European museums, catalogued during the MENCAWAR and MEDINA projects; those from the Yemeni museums, digitized during the CASIS project; those from some USA museums, catalogued within the DASI project. This is the project home page. You can begin the consultation of the whole corpus by using the indexes and tools menu on the left or you can consult only one of its sub-corpora, when present, by choosing from the list below. The collection includes about 900 inscriptions which date from between the 7th century BC and the end of the 3rd century AD. 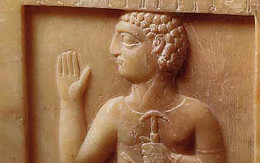 After an early period of formation characterised by a strong Sabaean cultural and linguistic influence, around the 5th-4th century Ḥaḍramawt became a kingdom with its own political importance. Its main activity was trading in incense, which grew in various regions of the country. The corpus of the Minaic inscriptions is composed by almost 1,400 texts, gathering all the epigraphic texts left in Minaic (elsewhere called Madhabaic) language. These come from the Jawf valley in northern Yemen (Corpus of Central Minaic inscriptions), but also from outside South Arabia, as the Minaean traders visited and settled in other regions and sites of the Arabian Peninsula and the Near East (Corpus of Marginal Minaic inscriptions). The Corpus of Qatabanic inscriptions comprises in total more than 1,800 texts. 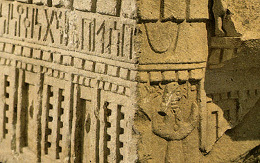 It has been divided into three linguistic varieties: beside the inscriptions of the Central Qatabanic, the two small corpora of Marginal Qatabanic and Awsanite inscriptions has been created, because these documentations show several linguistic and cultural features that distinguish them from the Qatabanic language of the mainland. The Corpus of Sabaic inscriptions is the largest linguistic corpus of South Arabian texts. 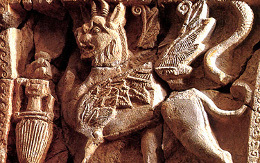 To date, of the approximately 5,000 Sabaic inscriptions, more than two thirds have been published in DASI. This corpus is divided into three major historical linguistic periods: early, middle and late. We have also identified a number of regional varieties such as the Corpus of Early Sabaic inscriptions from Ethiopia (that is being compiled) and - in the Middle phase - the Central, Northern and Southern Sabaic. This corpus collects all the South Arabian texts which cannot be assigned to any specific language, because they convey no information about their linguistic provenance, nor on their geographic or chronological setting. The majority of them are fragmentary or simply onomastic texts. This is a small corpus, comprising some 40 texts, written in a new script and on a different support than the inscriptions in monumental writing engraved on stone, bronze or rocks. 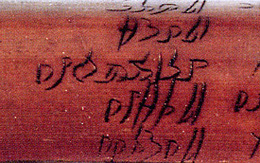 The first two wooden sticks texts were discovered at the beginning of the 1970's, during clandestine excavations in as-Sawdāʾ. The scholar Mahmoud al-Ghul was the first to partially decipher these new documents. Since the beginning of the nineteenth century, the political presence and scientific expeditions of Europeans in the Arabian Peninsula inaugurated the establishment of European private and public collections of ancient South Arabian material, which constantly increased during the following decades. 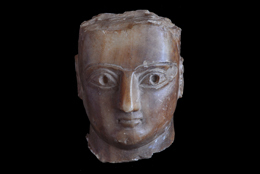 The Collection of the objects from the USA museums in DASI gathers the South Arabian antiquities housed in USA museums and private collections. 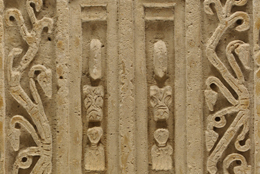 The digital cataloguing of the South Arabian inscriptions and artefacts housed in the Yemeni museums is one of the activities of the project CASIS, funded by the Italian Ministry for the University and Research for the years 2007-2010.